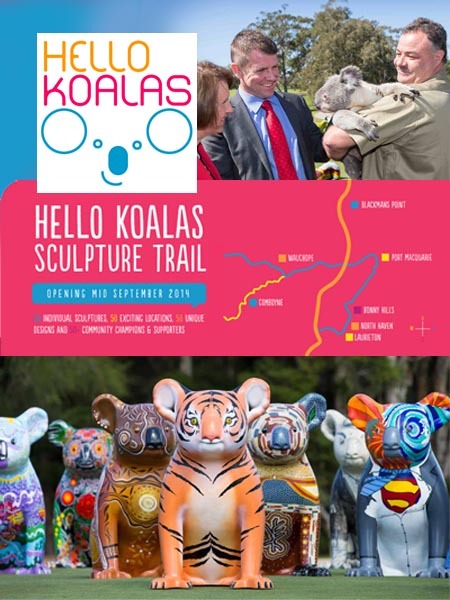 Coming to Greater Port Macquarie in mid September 2014 - 50 plus large-scale koala sculptures, manufactured in fibreglass & hand painted & decorated by celebrity artists, professional artists & community groups, to create an official Hello Koalas Sculpture Trail. A forward thinking project linking the creativity of artists, business sponsorship and the power of tourism. 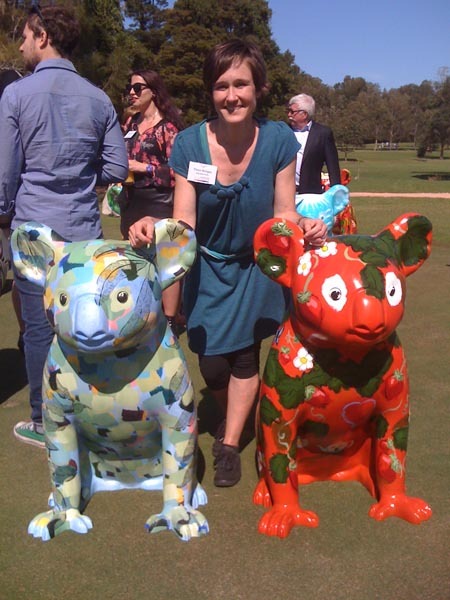 I am thrilled to be able to say I was commissioned to paint not one, but two koalas. Way back in 2013, the call for artists to submit designs went out and I submitted the maximum three designs allowed per artist. One of these was chosen to be sponsored by World Par-Tea, an Australian owned retailer & wholesaler specialising in chemical free loose leaf teas of the highest grade and quality. Komorebi is a Japanese word which translates as, ‘sunlight filtering through the leaves on trees’. In reference to the koala's forest habitat up high in trees. To see a koala for yourself requires you to also enjoy komorebi - looking up into the sunlight filtered by the leaves on trees. Komorebi will be placed at the World Par-Tea tea rooms. 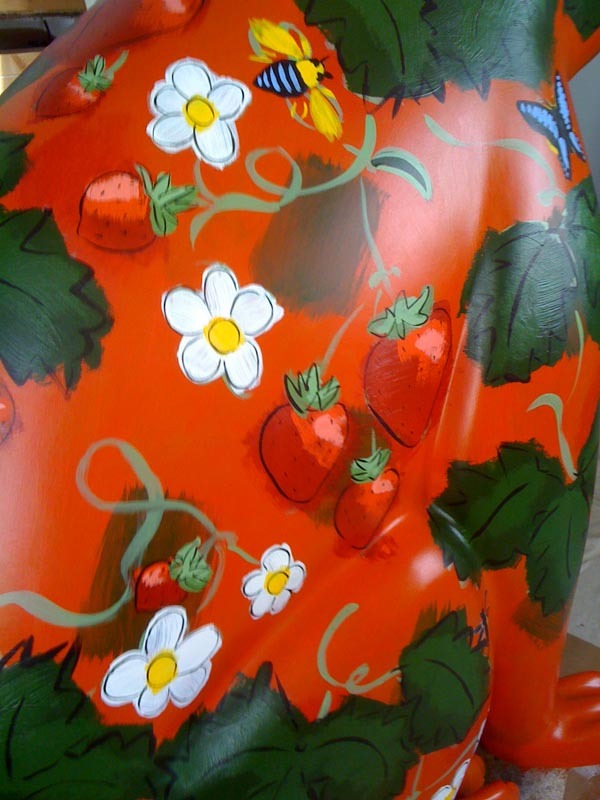 Pay her a visit, see the intricate painting detail in real life and treat yourself to one of their 'high teas' (or perhaps a morning or afternoon cuppa!) - Shop 22, 35 Merrigal Rd Port Macquarie, NSW, Austraila. Say hi and thanks to Kerrie and Rod while you're there. 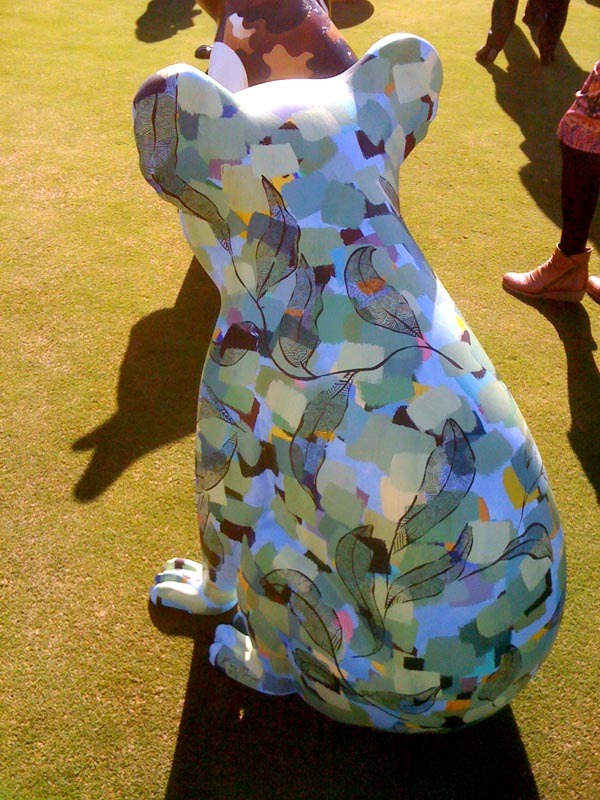 The second koala ended up being a commission. 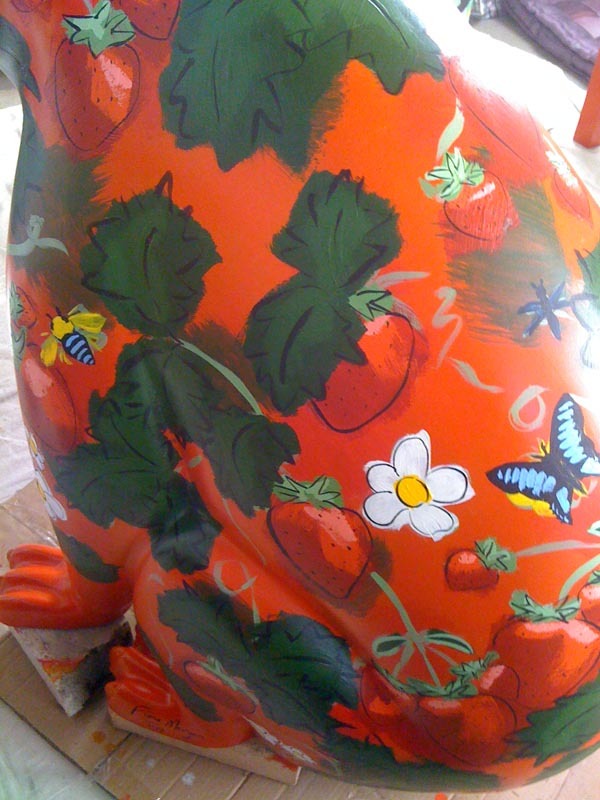 Ricardoes Tomatoes and Strawberries had signed up early on as a sponsor, but there was no koala design submitted that was a good match for their business. So the Hello Koalas team went looking for an artist and thankfully they found my food themed paintings. So I was asked to create a luscious, fresh food design based around the produce of the business. 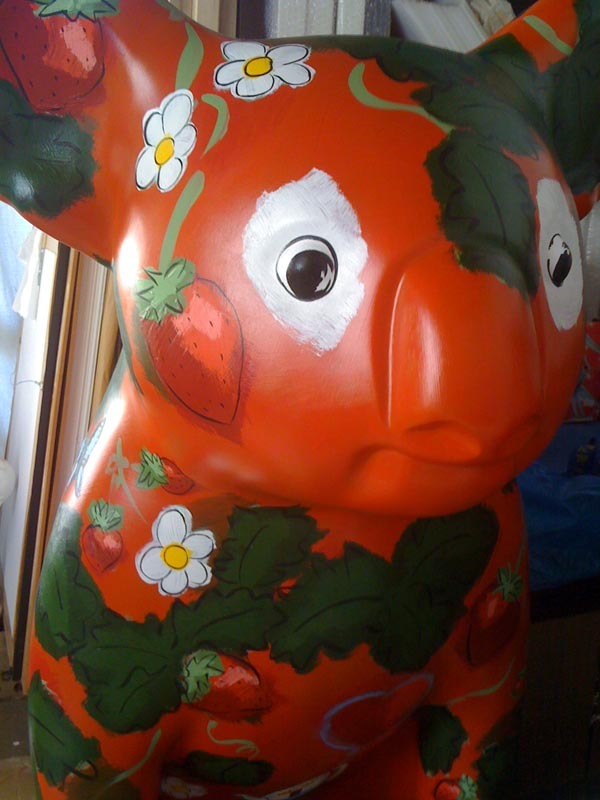 See her in real life outside Cafe Red at the strawberry and tomato farm - 221 Blackmans Point Rd, Blackmans Point NSW. Indulge in some pick-your-own fresh strawberries (they are GOOD!) 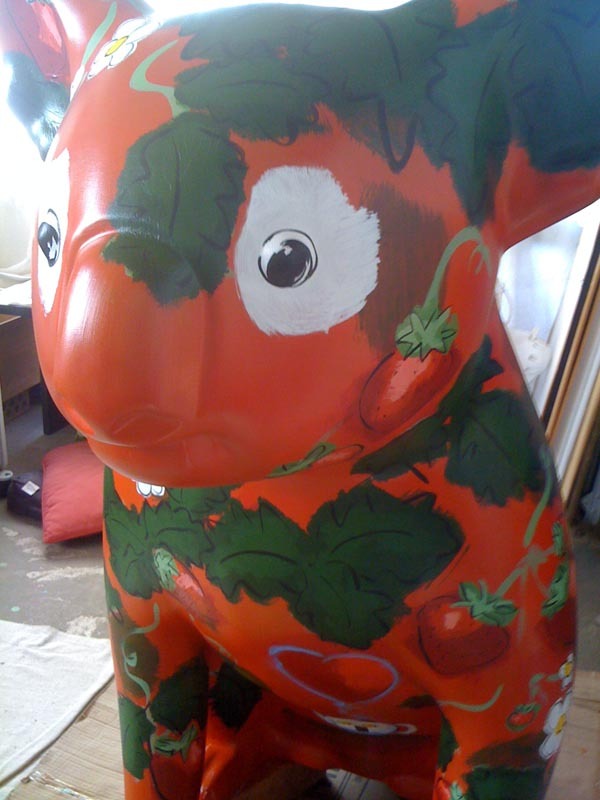 or some award winning tomatoes and give a friendly hello to Carol and Anthony too. 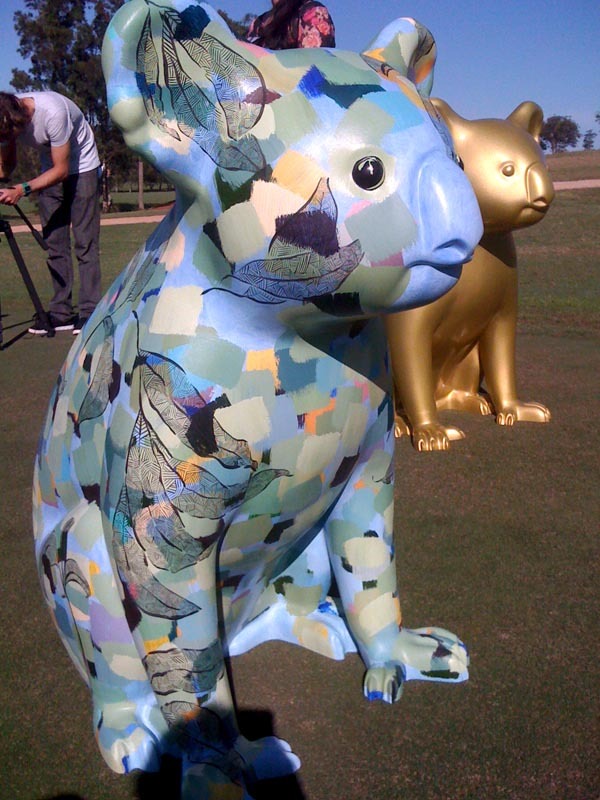 The Hello Koalas Sculpture trail had it's official launch on Monday. 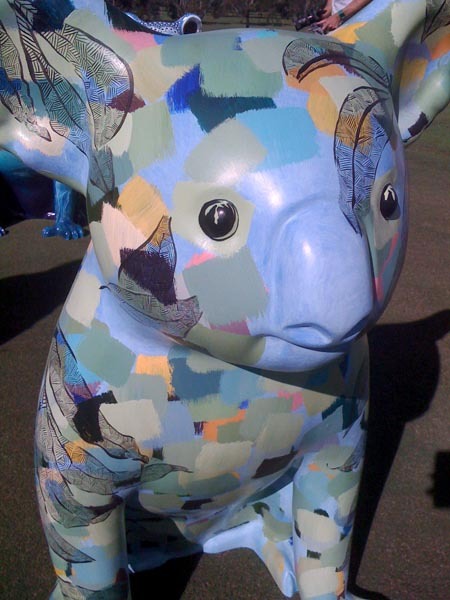 The koalas will be placed in their locations in approximately two weeks. See the launch news story on NBN TV news and in the Port Macquarie News newspaper.